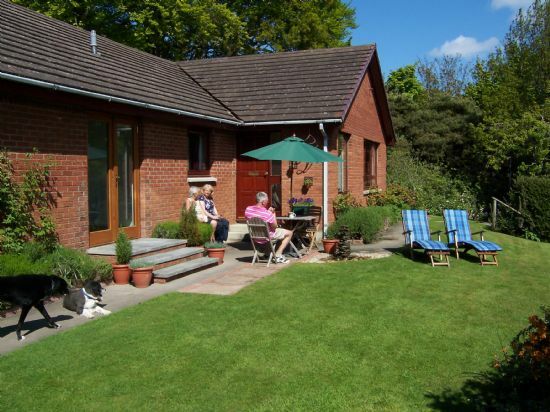 Joyce and Norman would like to welcome you to Shennachie, a modern detached bungalow set in 3/4 acre of mature garden. Situated 5 minutes by car from the seaside town of Nairn, Shennachie consists of a purpose built guest area , with en-suite bedrooms ( 1 double and 1 twin ) a dining room and private entrance. Nairn is only 14 minutes from Inverness airport and 25 minutes from Inverness city. It is an ideal base for exploring the Scottish Highlands whether it be hilllwalking, fishing, golfing, visiting castles or just relaxing on the beach. Nairn is also within easy reach of Aviemore, Speyside and Aberdeenshire. After a busy day, what better than to return to Shennachie, relax and let the peace and tranquillity of our rural setting wash over you?